My friends and clients are always shocked when I suddenly present (in front of them) a ‘painting from life’ – just because I appear to produce slap-dash imagery as my main artistic process and thrust doesn’t mean I haven’t mastered the basic fundamental skills of ‘traditional’ painting and drawing. Artists and teachers have argued for years that to fully understand the processes required in creating non-representational art, a knowledge of basic representational tricks is vital – to be able to imitate the real world is useful when trying to turn your back on it. 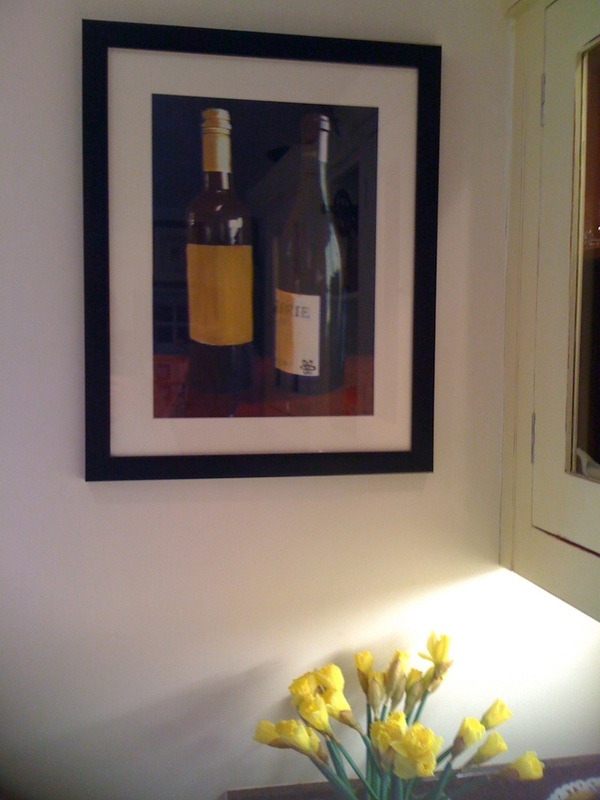 One of my still life paintings hanging on a wall in Worcestershire.